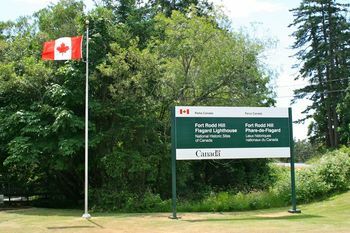 Fort Rodd Hill (1894-1956) - A Canadian Coastal Fort first established in 1894 as a part of the "Victoria-Esquimalt Fortress". Located in present day Victoria, Vancouver Island, British Columbia, Canada. Named after Admiral John Rashleigh Rodd. Deactivated in 1956. Part of the Harbor Defense of Victoria and Esquimalt Harbors. The Canadian Harbors at Victoria and Esquimalt were protected by five separate gun batteries with emplaced naval guns starting in 1878. In 1893 an agreement with Great Britain established for a common defense of both harbors. The result of this agreement was the construction of two forts, Fort Rodd Hill on west side of the entrance to Esquimalt Harbor and Fort Macaulay on the east side of Esquimalt Harbor at the entrance to Victoria Harbor, the work being undertaken by a detachment of twenty Sappers from the 18th (Fortress) Company of Royal Engineers sent from Halifax, whose job was to demolish the old earth and wood batteries, then lay out and direct the building of the new concrete and earth forts. Fort Macaulay was the site of one of the five existing batteries and was armed with three, 7" rifled muzzle loaded (RML) guns. Fort Rodd Hill was a new fort built on a rock bluff at the harbor entrance. Both forts were to mount three, 6" disappearing breech loaded (BL) coastal defense guns in modern reinforced concrete gun emplacements, the work being performed by the Marine Artillery. 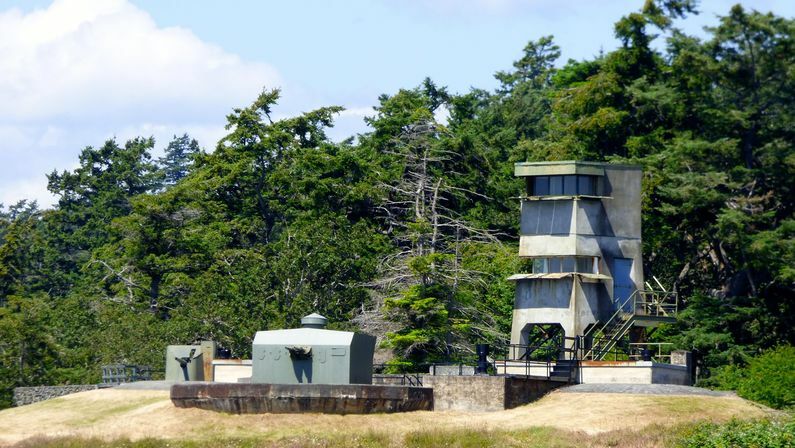 This plan coincided with the construction of similar but more extensive American fortifications during the Endicott Period across the Straits of San Juan De Fuca at Fort Worden, Fort Casey (1) and Fort Flagler for the Harbor Defense of Puget Sound. Three reinforced concrete gun batteries were constructed on Fort Rod Hill between 1895 and 1900. The Fort Rodd Hill Upper Battery had a single 6" disappearing gun while the Fort Rodd Hill Lower Battery mounted two 6" disappearing guns, these batteries were designed to engage larger enemy ships at a distance. Battery Belmont mounted two rapid fire barbette 12-pounder guns that were designed to counter small, fast motor torpedo boats that might attempt to enter the harbor. Fort Rodd Hill Upper Battery 1 6" Disappearing 1895-1941 £ ? At the beginning of Canadian involvement in World War II all of the gun batteries at Fort Rodd Hill were obsolete and a plan to upgrade the defenses was in place. The upgrade plan was not complete when war was declared and a shortage of the required armament throughout the British Commonwealth forced the implementation of a scaled back interim plan. The original plan had been developed by Major B.D.C. Treatt, Royal Artillery, for defenses along the British Columbia coast. For Fort Rodd Hill, the plan upgraded the only operational guns at the fort, two 12 pounder QF guns in Belmont Battery, to a more modern twin 6 pounder QF installation. The new twin 6 pounder was not in place until 1944. In the early years of World War II (1940-1941) a Fortress Plotting Room was built into an outer wall of the Lower Battery. This facility was built to provide target information to the long range guns of the Mary Hill Battery and Albert Head Battery. The plotting room had its own switchboard to take in target data from the observation posts and pass azmuth and range data to the guns. The computations were done using a Fortress Plotting Machine that weighed a half ton. 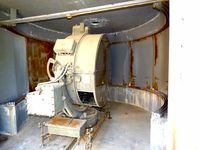 The facility was bomb proof and gas proof. 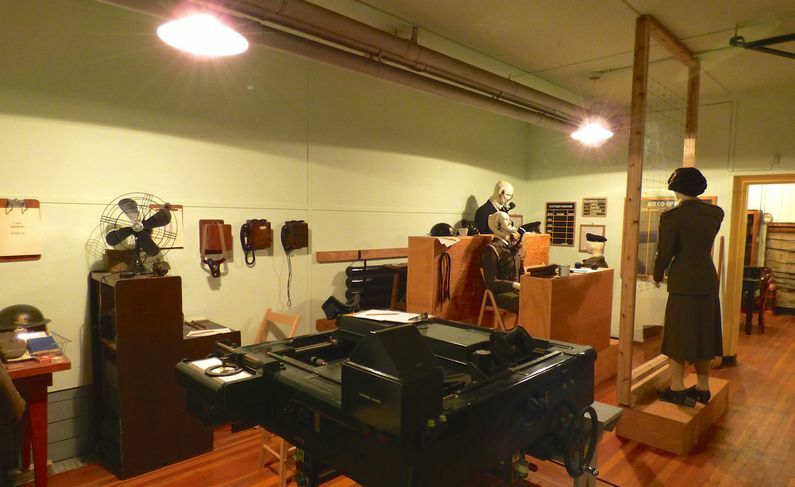 The plotting machine was obsoleted by the introduction of radar into the harbor defense and the room became an anti-aircraft operations room in 1951 until it was closed down in 1954. Searchlights were first installed at Fort Rodd Hill about 1902 and were meant to light up targets at night. There were two lights installed, No. 1 was on the west side of the point and No. 2 was located on the east side near the lighthouse. The No. 1 light was a narrow beam with a range of about 5000 yards while the No. 2 light was a wide beam with a range of about 2000 yards. The searchlight system was updated during World War II with modern 60" searchlights. By the end of the war 17 searchlight positions ringed the harbor. 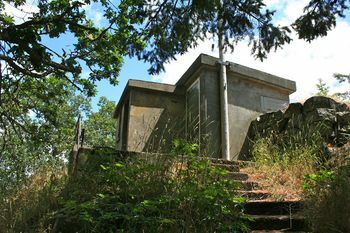 Two of the Fort Rodd Hill searchlight shelters still exist, one disguised as a fisherman's hut. Must See! Now a part of Fort Rodd Hill, Parks Canada park. Period guns and carriages in place. Restored and interpreted gun batteries. Location: Fort Rodd Hill Parks Canada Park, Victoria, Vancouver Island, British Columbia, Canada. Morgan, David, Forts of the Canadian West Coast - Victoria/Esquimalt Defenses, CDSG Journal, Volume 9, Issue 2, May 1995, page 16-24. This page has been accessed 9,862 times.